What are all the daily fees associated with properties, garages, businesses, etc....? Also when do they get taken out, like what time in game? And I think that's it. As for the mechanic, you only pay if you request a vehicle from him. That aint true. I get charged driving races all day. Here are some purchase oriented maintenance fees: Yacht, Office, Biker businesses (the worst, and totally avoidable for the most part). Thanks for the replies, however I am looking for how much they are charging? I know the maid is $75 a day per house/apartment. I think the workers in my 2 MC businesses are $1200 a day each. I'm just looking to verify this and see a list of other fees as well. As for the mechanic, you only pay if you request a vehicle from him. Wrong. You pay per garage you own. Is it true that if you don't pay any of these services, you can't use them? I've heard of a rumour about your apartment lights going off if you have no money. But that way back in the day. I've heard of a rumour about your apartment lights going off if you have no money. But that way back in the day.lights dont go off but you cant use the tv or shower. So, is there not a list of all the fees, what they are called, how much they are, and when exactly they get taken out? Also you have to pay the entry fee for some jobs and races. Mechanic - $50 per day-per garage. Assistant - $300 per day. Yacht - Approx $1600 per day. Not sure what the utilities bill is on properties, but I was paying upwards of $9000 a day for my businesses. I don't think anyone knows what the exact fees are, OP, because it's different for each individual. 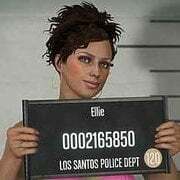 Your fees are deducted every 48 minutes, which is 24 hours in GTA online life. $2550 utility fees - apartments and yacht. That's $3200 every 48 minutes. If you're an active MC President, you will also pay a fee every 48 minutes depending on how many businesses you're running - up to 30k. I am seeing this so far. Mechanic $100 - I have 2 garages so that is $50 per garage (like someone said above). I'm about 21k a day in MC businesses and 2.5k a day in CEO stuff. MC Businesses, Clubhouse and Personnel also are paid but only if registered as an MC. With each added business the cost goes up. My daily fee is about $16k and I think it reaches about $30k if all businesses are owned. There may also be a similar set of fees for CEO warehouses but they are no where near the rates of MC Businesses. Mechanic: $50 per garage (includes each office garage and the Biker clubhouse). No difference if you own the private mod shops. Thanks for replying, you are right with these figures. Breath of air - $5,000. Took a dump - $10,000. I kind of lost track of the actual stuff. They just grab money off me every now, a million different things pop up. Hope this helps, along with the sound numbers you've been shown by IceDree & others in regards to apartment/yacht fees etc. The cleaner is NOT part of the Utility Charge, ie happens only once a week and most people miss it, it costs $50. The only occasion I have actually noticed it, I checked my bank transactions and it hadn't actually charged me. Jesus biker business is such a money pit. 21k a day??? Wtf I'm glad that I never bought them. Even my yacht property fee aren't that expensive. Bikers are the worst f*cking criminals in history. You don't pay your f*cking human-trafficked staff. You don't sell counterfeit currency for 1 cent per dollar. You definitely don't run a f*cking office complete with old lady and fax machine. And my "assistant" or more accurately "receptionist" would be in a shallow grave the first time someone showed up to where I'm stealing a car. You won't get charged unless you spend 48 minutes in 1 session. When I had all 5 MC businesses full upgrade, I got hit with 30k daily charge. I have only ever seen that twice, each time in my office. I think it is for offfice cleaning and utility charge is for apartments.